Cool video, I especially like the citing of old school magazines and comics. The Shokan are known for having four arms. 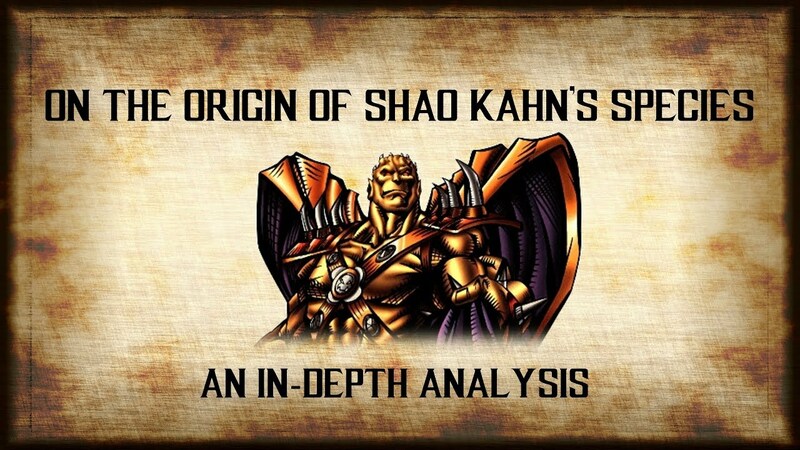 Shao Kahn is known to have forearms... It's all so obvious. What is Shao a god of, war, konquest, bringing people together? With Shinnok, Raiden, and Shao, that's 3 gods messing with the mortal realms. If they are family, like in Annihilation, it seems to be a succession test similar to Argus, Daegon, and Taven. Also what's the difference between the original Elder Gods, and lesser ones being granted Elder God "status"?